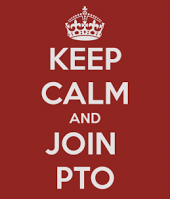 Mark your calendars for our next PTO Meeting. Monday, May 6th at 6pm in room F6. We will be finalizing next year’s elections, discussing fundraising for next year, and finalizing Spring Fling. We would love to hear your ideas and input, so join in on the conversation! Please contact our PTO President, Shayla Newman, at president@elliottranchpto.com, with any questions. We’ll see you there! Join us for a night of dining with family, friends, and the ER community at ER Eats Out at Dos Coyotes. 20% of sales will go directly back to ER PTO. This ER Eats Out is for dine-in only, and participants must bring a copy of the ER Eats Out flier. Please contact Edward Castro for more information. There are just a few spots left for our 4th Annual Elliott Ranch PTO Night Golf Invitational! If you’re interested in participating, please contact Edward Castro. 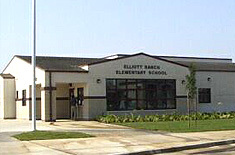 C’mon Elliott Ranch Elementary School! Lets finish the school year with a bang! 8124 Delta Shores Circle at the new Delta Shores Shopping Center off I-5 and Cosumnes River Blvd. Bring in the Flyer or show it on your smartphone , tell the Cashier you’re supporting Elliott Ranch Elementary and 50% of the proceeds with be donated to ER! Note: Online orders will not apply to the fundraiser, Be sure to order and pay in-restaurant. Elliott Ranch Teachers and Staff are The Best in the West! 1. Donate gift card in any amount (Starbucks, Jamba, Target, movie theatre, restaurants). 2. Write a note from you/your family about a teacher or staff member who has made a positive impression on you or helped you in some way. 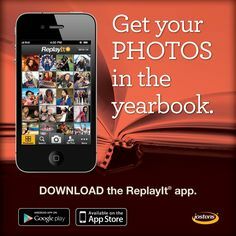 Please e-mail your message to Principal Crothers or drop off a card/note to the PTO mailbox by Monday 5/7. 3. Tuesday 5/8 Breakfast Bar-Donate breakfast items (see list below). Please drop off items at the front office not later than 3:00pm on Monday 5/7. Refrigerator space will be available. Please take a moment to review the available shifts and volunteer some of your time. There are many options – you can donate baked goods, work a shift at a food booth, sell tickets, help with set up or clean up, or loan an easy up, table or cooler. When you find something that works for you, please follow the steps to sign up. If you are unable to sign in, please e-mail Shayla Newman at shayla_newman@hotmail.com for assistance. Thank You! 15% of proceeds go back to Elliott Ranch! Come support our school and have a great time as well! It is a free event sponsored by the ER PTO. All ER families are welcome to come say hello to old friends and meet new friends as well.